Somewhere along the way, I lost track of who I watched what movies with. However – I remember watching Snow White with Brazle, as it was right after church and no one else could come for some reason. Glad we could settle that. Anyways, it was awesome to watch the very first full-length hand-drawn feature film EVER. Sure, it’s crude by modern standards, but it’s amazing to see how not-awful it is too. 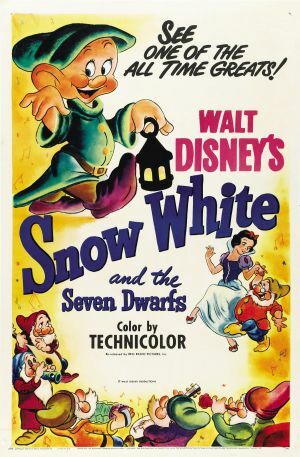 During development from 1934- 37, Snow White was referred to by many as “Disney’s Folly”. Most everyone thought the film was a terrible idea for the Mouse Guys – even Walt’s wife and brother tried to talk him out of making it, but he would have nothing of it. Pundits figured audiences wouldn’t want to sit through a full-length animated movie, and many business-minded people noted the tremendous financial risk Walt was taking to create the thing; he even had to mortgage his house to help things out. Nuts. As the only full-length hand-drawn film, it was easy to call Snow White one of the all-time greats. In the end, it was released to RAVE reviews. After the initial showing in December 1937, it was given a wide release in 1938 and earned four times more money than any other movie that year. Four times!!! That is insane. Think about the circumstances – the United States was in the midst of recovering from the Great Depression. Unemployment was still somewhere around 15-17%, and the country had just endured the 1937 recession. I’m gonna go out on a limb and say that most people were probably pinching pennies like never before. 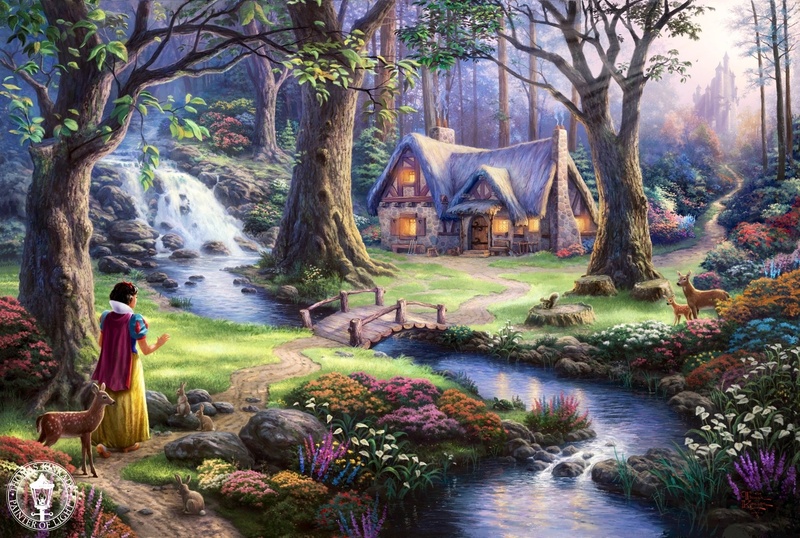 Even then, Snow White made $184,925,486, which when adjusted for inflation is $877,450,000, or tenth most all-time. I’m gonna say Walt’s gamble paid off. So why did audiences flock to see Snow White? Well, you remember the Avatar Effect? Movies that display remarkable technical achievements are always considered great, even if they have notable flaws? Well, it’s probably fair to say that Snow White was the OG Avatar Effect club member. Except, Snow White doesn’t really have any flaws that would’ve been glaring back in 1937, so it may not necessarily fit all the club requirements. Maybe there needs to be another club for all the movies that feature great technical achievements and are really great. Maybe it should be the Toy Story Club? Here’s the movies I would immediately put into the Toy Story Club – Snow White and the Seven Dwarfs, Jurassic Park, and Star Wars. I’m amazed by what Toy Story Club films are able to accomplish. The directors and producers don’t just break new ground technologically; they use technology to tell stories that could never be told otherwise, at least not in the same way. 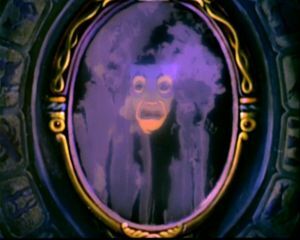 In the case of Snow White, the Disney team used hand-drawn animation to craft the story just the way they saw fit, complete with a talking mirror, transforming Evil Queen, and dwarfs. It works extremely well, to the degree that when compared with later Disney films, even films in the late 40’s and 50’s, Snow White blends in more or less seamlessly. Which is amazing because, again, it was released in 1937. But what if you’re looking at Snow White in 2013? How does it hold up compared to modern animated movies? Well….the story is still good, but the animation is at times a little choppy. It’s not unwatchable, but it’s noticeable. It’s especially noticeable on Snow White. Apparently, many of her scenes were rotoscoped, meaning the drawings came from tracing live-action footage. The advantage is that Snow White moves like a realistic human. The disadvantage is, live-action shots contain motion blur, but when the frames are traced, the blur is lost, resulting in chop. Not a big deal, but it’s a problem most movies after Dumbo don’t have, so it really betrays Snow White‘s age. BTW – it feels like there’s tons of earthquakes happening while I’m writing this, so if there’s any motion blur in the text, that’s why. The dwarfs are off to work. Music: Snow White has great music. “Whistle While You Work”, “Heigh-Ho”, and “Some Day My Prince Will Come” are the standout songs. Interestingly, “Some Day My Prince Will Come” developed into a jazz standard; it ended up being recorded by such luminaries as Dave Brubeck, Bill Evans, Herbie Hancock, Miles Davis, Oscar Peterson, Grant Green and many other heavy jazz artists. Cool potatoes. Characters: Efficiency is the key in this story. There’s Snow White, Prince Charming, the Queen, the Mirror, the dwarfs (sure, there’s seven dwarfs, but the group acts as one character with many parts), and finally the woodland creatures. It’s cool that Disney was able to tell such a charming story with so few moving parts. I found out something crazy in researching the cast of characters – Walt Disney signed a contract with Adriana Caselotti (the voice of Snow White) in which she agreed to never sing in another production, as he wanted the voice of Snow White to be singular and never heard anywhere else. She mostly held to the agreement. Weird! 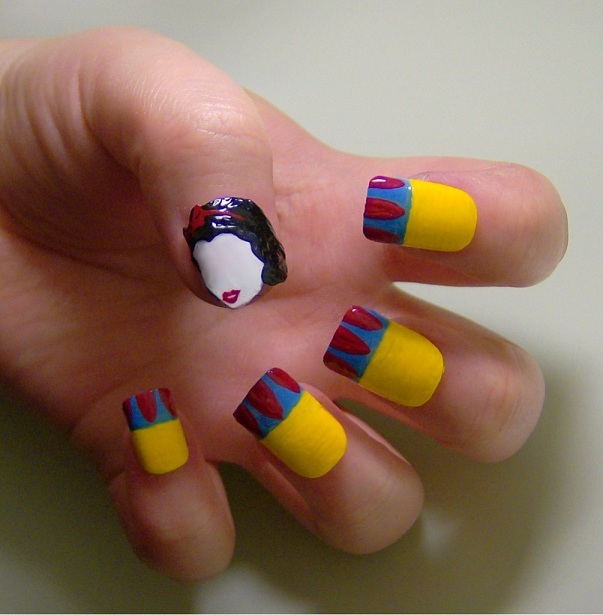 KayleighOC nailed Snow White’s dress. 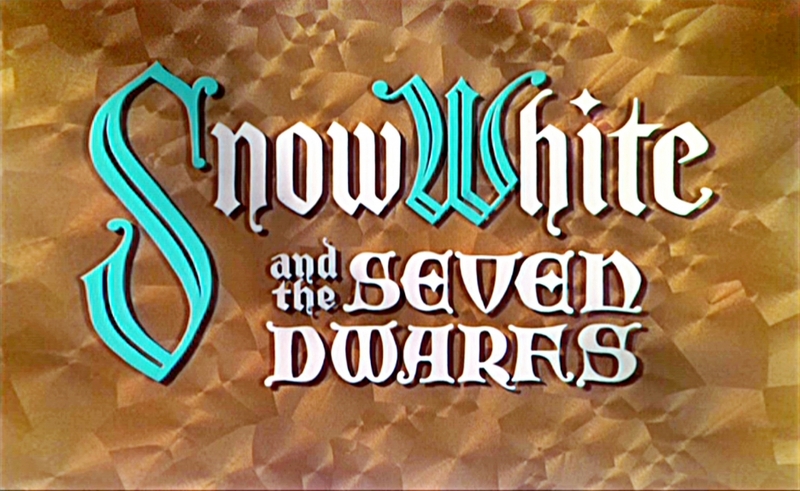 Overall, Snow White and the Seven Dwarfs is a special film. It’s the first full-length hand-drawn animated film, and it should be seen by everyone, if only because it’s such a landmark, groundbreaking film. It has great music, characters, and art. I give it an 8.4/10. The Princess and the Frog is pure magic. Guys, I’m getting a little misty over here. Brazle, Hayley and I gathered one last time to watch The Princess and the Frog, and I have to say, I’m a little sad about finishing the Epic Disney Watchfest. But all good things come to an end, and every new beginning comes from some other beginning’s end. So there you go! Thanks Semisonic! At any rate, it was great watching The Princess and the Frog, the latest true hand-drawn feature from Disney Animation Studios. Of course, if all the reports about Disney shutting down their hand-drawn operations are true, it is also their last traditionally animated film. If that indeed is the case, what a doozy to go out on. This movie is great. It’s Disney Animation Studio’s hand-drawn version of Michael Jordan’s final shot in 1998 playoffs against the Utah Jazz. Based on a novel that’s based on a fairy tale, The Princess and the Frog tells the story of a young girl named Tiana who meets a frog prince, gets turned into a frog herself, and then must find a way to get them both turned back into humans. Here’s why I think everyone should watch it. The setting is unique! This is the first Disney movie to be set in the magical city of New Orleans. It isn’t present day New Orleans, but rather New Orleans circa early 20th century. By choosing New Orleans, the directors were able to tap into all kinds of goodness like the old downtown, moss-covered trees, voodoo culture, French/Creole culture, Mardi Gras, swamps, and jazz. Throw all that in the pot and you get a really cool, very unique film. BTW – speaking of jazz…..
New Orleans – the birthplace of jazz. The music is AWESOME. When the first notes hit and I heard Dr. John singing, I flipped. True New Orleans music is some of the most joyous and romantic noise you’ll ever hear, and Randy Newman (Toy Story, A Bug’s Life, Monsters, Inc.) nails it. 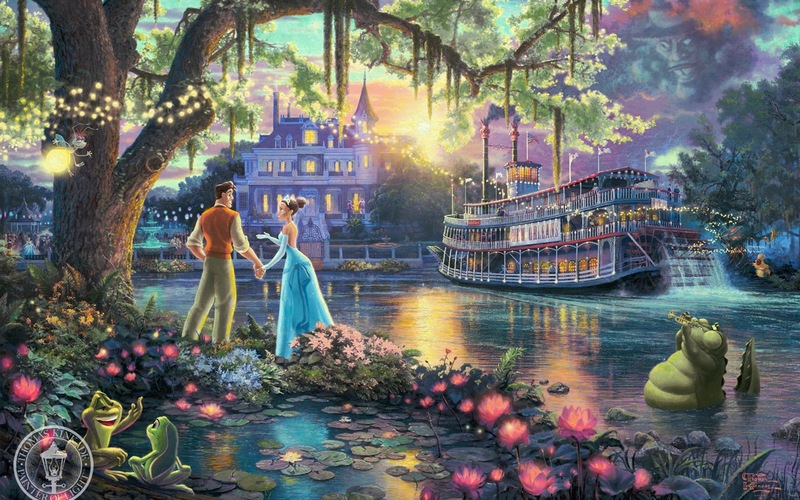 “Down in New Orleans”, “Almost There”, “Friends on the Other Side”, “Gonna Take You There”, “Ma Belle Evangeline” and “Dig a Little Deeper” are all wonderful songs, worthy of any Disney feature. Now, to be fair, I initially had a hard time getting past how much the songs sound like earlier Pixar Randy Newman songs, but after hearing them again, I am in love. This soundtrack is one of the best Disney soundtracks since the early 90’s. The artwork is gorgeous. 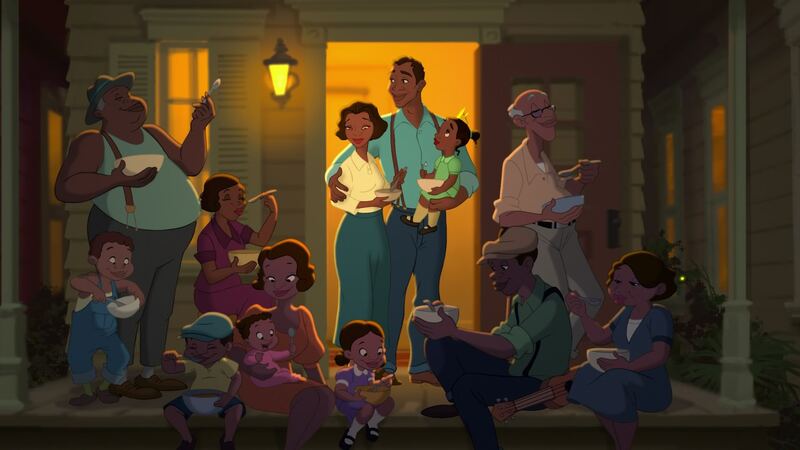 Since New Orleans had never been tapped as a setting, the newness seemed to inspire directors Ron Clements and John Musker (Aladdin, The Little Mermaid), for Princess and the Frog has some of the most gorgeous artwork yet in a hand-drawn animated film. 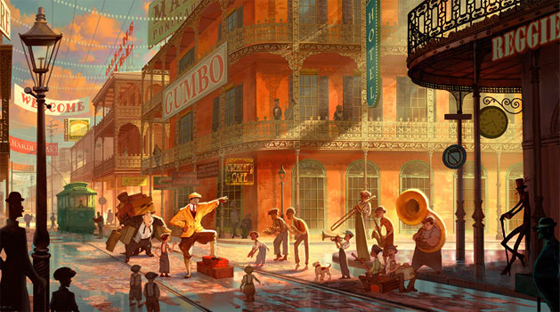 The city of New Orleans comes to life in vivid detail as does the old French house where the La Bouffs live. The Mardi Gras parade is thrilling to watch, and the voodoo-drenched back alleys are truly creepy and sinister. Then, when things move to the swamp, the scenery is striking. Both daytime and nighttime, the lighting is beautiful, and the detail recalls some of Disney’s best works like The Lion King and Sleeping Beauty. Tiana’s family makes the story grand. The story is touching. 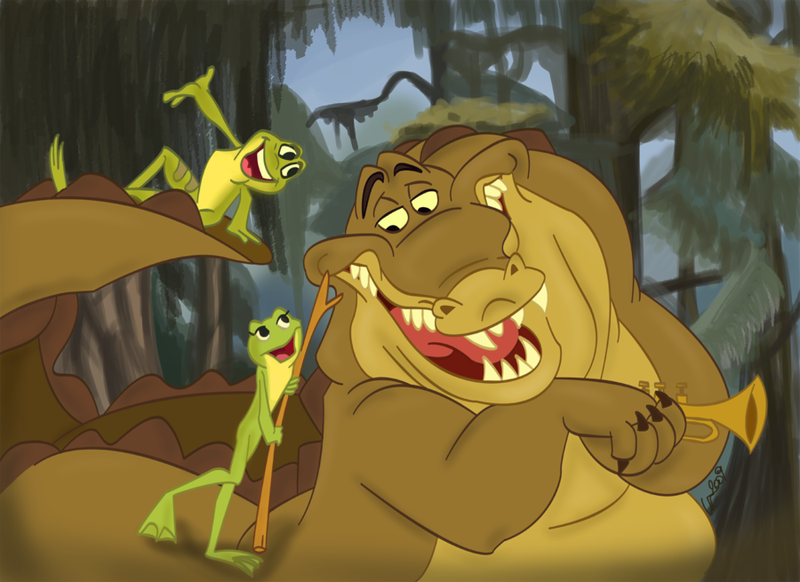 No matter what, a movie must have a good story if it is to be good, and The Princess and the Frog definitely has that. It has lots of good moral lessons, wonderful character interactions, a nice macro story about Tiana’s family that keeps her pushing forward, and an exciting good vs evil struggle between Naveen, Lawrence and The Shadow Man. It seems that the plots benefited from being developed in the era of Pixar films, as the story has a structure more similar to a Pixar film than any other Disney animation. Which is a good thing, for Pixar is known for having marvelous stories. The villain is fantastic. 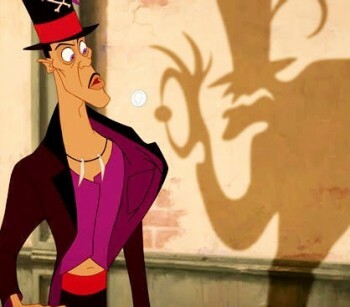 The Shadow Man (cool name) is my favorite Disney villain. I find him to be something of a cross between Yzma and Jafar, except with no governmental power. I love that his shadow is a causal entity separate from him, and I love that he uses voodoo to get things done. Though many other Disney movies use magic, voodoo is different enough that the Shadow Man is less a sorcerer and more of a tarot card/palm reader-type person looking for his chance to strike it big. It really adds something to the film, as it is another story layer to be explored. Despite it’s metaphysical impossibility, Shadow Man’s shadow has causal relations with the physical world. It’s the pinnacle of hand-drawn animation. If you like hand-drawn animation and want to see it at the highest level, watch The Princess and the Frog. Was Snow White and the Seven Dwarfs more groundbreaking? Yes. Was The Lion King more successful? Yes. Is Beauty and the Beast one of the best movies ever? Yes. Does Cinderella feature a more beloved “princess” character? Yes. BUT – none of those films have the total polish and modern touch of The Princess and the Frog. Just as J.J. Abrams’ Star Trek reboot is more palatable for today’s audiences than the stiffer, cheesier 70’s/80’s/90’s Star Trek films (which I love, btw – no hate intended), so is The Princess and the Frog the pinnacle of Disney’s hand-drawn efforts. Necessary viewing for anyone even remotely interested in animated films. John Goodman voices one of the characters. Everything’s better when John Goodman voices a character. 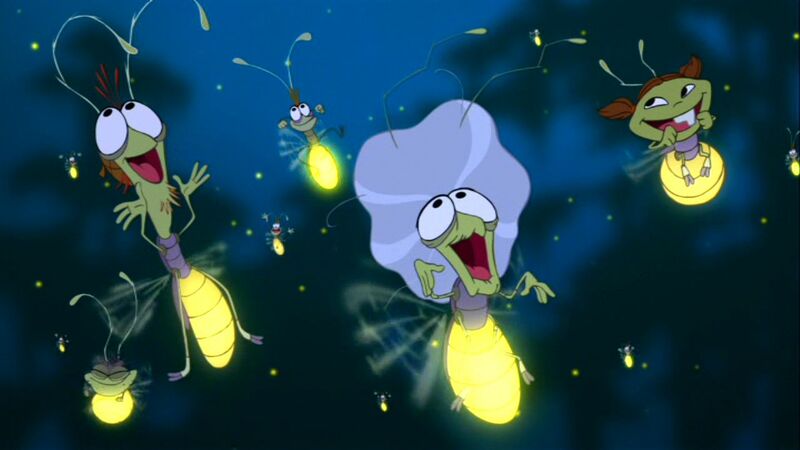 Ray and his firefly friends light the way. The princess is a black American. For some reason, there was a lot of controversy over Tiana being a black girl. I find that odd since no one made too big a ruckus over Mulan, Pocahontas, Aladdin and The Hunchback of Notre Dame which all featured non-white leading ladies. I fully subscribe to Dr. Martin Luther King, Jr.’s idea of judging people by the content of their character and not the color of their skin, but the fact is, from a visual standpoint, no previous animated movie features a black American leading lady, and I think it’s great to see something fresh. And if you think people aren’t interested in people based on of what they see, tell that to all the completely reasonable people who told me directly that they wanted to vote for then-Senator Obama simply because they wanted to be able to say that they voted for the first black president. Or, tell that to the woman who said in an interview that she voted for George W. Bush “because he’s the cute one”. Or, tell that to all the girls and guys who started loving relationships with each other because of an initial physical attractive. 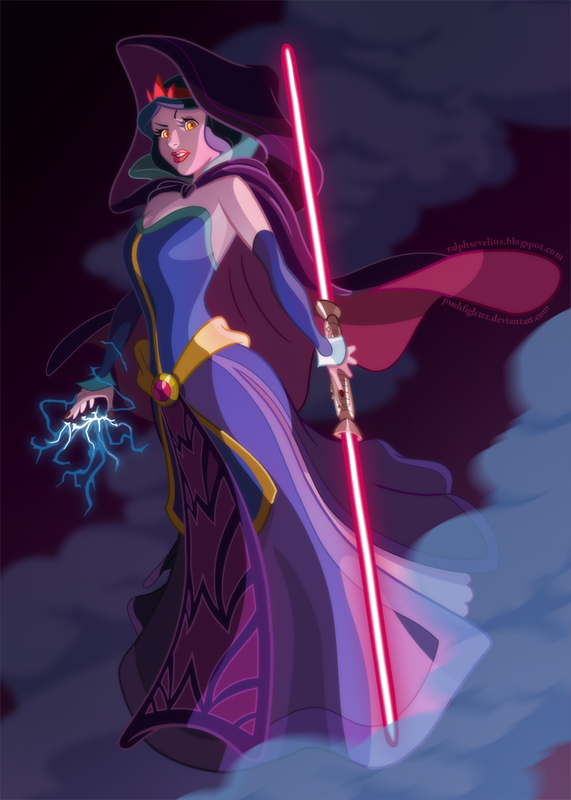 I know this is a sensitive subject, so I want to be clear – it is cool seeing a different type of princess. She could’ve easily been white, but I’m glad she wasn’t, for I believe that choice gave the movie new possibilites and made it more unique. As for Tiana’s character – I love her. She’s a sweet, driven, no-nonsense, hard-working young woman who loves her family and hopes to one day open a restaurant out of love for her father. Red or yellow, black or white, who wouldn’t like a young lady with that kind of personal integrity? It has a lot of humor. After The Emperor’s New Groove and Aladdin, The Princess and the Frog is the funniest Disney movie. I mean, it has Louis the trumpet-playing alligator, Mama Odie (a ridiculous old voodoo woman who lives in the swamp and acts all silly), and Ray the Cajun firefly (who talks like a Cajun except if all his teeth were missing). Plus, there’s a lot of comedy surrounding Lawrence and Naveen and the spoiled-brat that is Charlotte La Bouff. Lastly, the directors show a sophisticated comic timing which was seen sparingly throughout the Disney Renaissance and which is on full display albeit in a larger supply here. 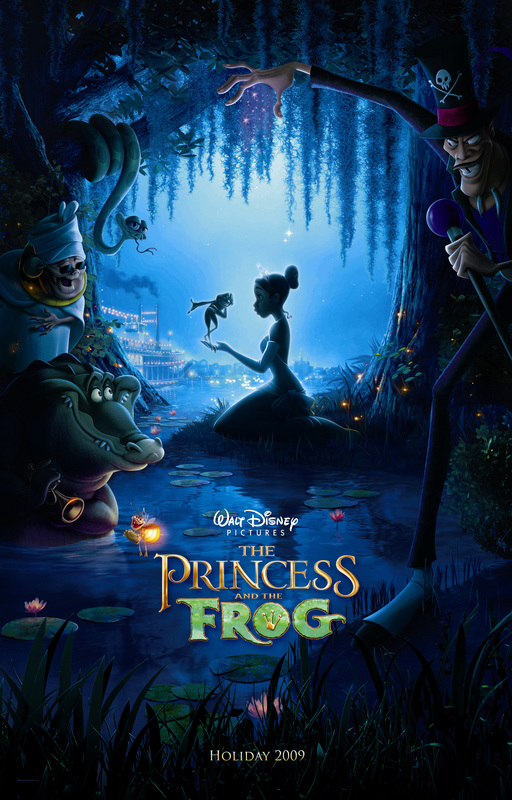 In all, I find The Princess and the Frog to be one of the best films in Disney’s long line of animated movies. It is the most polished and most modern example of the hand-drawn Disney fairy-tale, and it is laden with reasons to watch. Out of everything I mentioned above, the three biggest reasons I would give for watching are the music, humor and story. If this is indeed the last of Disney’s hand-drawn animated films, it is certainly the correct way to go out. With a bang, I mean. I give The Princess and the Frog an 8.4/10 and highly recommend it to nearly any audience. IMPORTANT NOTE: If I were a parent, I would consider screening the film before letting my young kids watch, as some of the voodoo scenes are very frightening. Grant Stevens is now an expert in Disney’s traditionally animated movies. At least, he feels like he’s an expert. In addition to writing exemplary movie reviews, Grant also enjoys writing spectacular movie reviews and extraordinary movie reviews. He is a fan of the Oklahoma City Thunder and the Houston Rockets, so he is conflicted regarding the first round of the 2013 NBA Playoffs. He is also a musician. Check out his music at www.grantstevensgroup.com and www.soundcloud.com/grant-stevens-amazing.